Bao buns, half smokes and homemade pastas — which will be D.C.'s next big food concept? 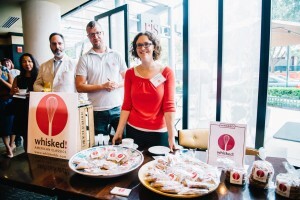 A look at the food startup finalists. WASHINGTON — Bao buns are a familiar appetizer at many dim sum, ramen and Asian-inspired restaurants. But Nelson Wong and Louis Grayson want the popular Chinese steamed buns to be more than just a starter or a side: They want baos to become D.C.’s next quick meal. And soon, they may have that opportunity. 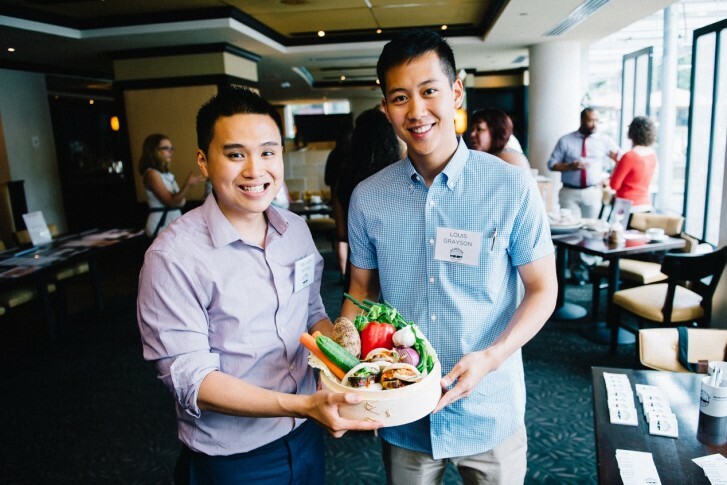 Wong and Grayson are one of five finalists in this year’s Launch Pad competition — a contest where food entrepreneurs pitch their ideas and business plans to a panel of industry experts, including investors and chefs. The winning concept will land a coveted production space at D.C.’s Union Market. And Wong and Grayson hope that this time next year, that Union Market space will bear the name Bao Bros Bar. Their idea is to open a fast-casual Asian restaurant that sells suggested bao combinations — such as crispy pork belly with hoisin sauce, scallions, pickled cucumbers and garlic chips — and customizable baos that customers can fill with a variety of meats, vegetables and condiments of their choice. “We want to give power to the customer in what they want to eat. We want [customers] to think of us as the place to go to when they want different options,” Wong says. Fillings for the bao buns, such as the kimchi and pickled radishes, are homemade, and the business partners plan to source most of their ingredients locally. Since Wong entered the competition with Grayson in May, he’s completely rewritten his future plans. Every night, he spends hours rolling out the dough and testing different recipes to find the perfect balance for his baos. Of course, he gets some feedback from family too. Now, it’s up to Wong and Grayson to impress the judges, including chefs and restaurateurs Patrick O’Connell, Aaron Silverman, Ris Lacoste and Drew Nieporent. Lacoste says while the food definitely matters, it isn’t the only thing she’s looking for in a winner. “I’m looking for personality. When I interview people and talk to people and bring people into this business, there’s a connectivity, there’s an energy that is very, very positive that I find,” says Lacoste, who is turning over her Union Market booth, Ris, to the winner. “It’s about community and entrepreneurial spirit,” she adds. Silverman, chef and owner of Rose’s Luxury, says he’s not sure what he’s looking for in a winner, but he’ll know it when he sees it. But he has one piece of advice for contestants: Stay true to yourself. Wong and Grayson feel confident that they have what it takes to win the competition, but even if they don’t come in first place, Wong says they plan to pursue their new dream of opening a Bao Bros Bar. “We want to pioneer the bao into the spotlight of D.C.,” Wong says. Mark Baik first became interested in cooking at a young age. Both of his parents worked full-time, leaving the Queens, New York, native to his own devices when it came to dinner. Conveniently enough, The Food Network was just hitting its stride when Baik was old enough to start cooking. “Instead of watching cartoons when I got home, I would watch Mario Batali and Emeril Lagasse,” Baik says. In the summers, he also helped his dad with his catering business, peeling onions and grating carrots. Now, Baik, who works as a consultant, wants to return to the kitchen. His idea is to open a concept where the ambience is casual, but the food is fine. He plans to focus on pastas and is envisioning menu items such as homemade cavatelli with an oxtail ragù and freshly made cacio e pepe. “[It want] something that’s very authentic … but also something that has that Italian-American feel as well, because at the end of the day, I’m a kid from Queens and I grew up eating alfredo sauce and spaghetti and meatballs, so I still have to stay true to what I grew up with and what I love to eat,” he says. Andre McCain wants to take D.C.’s flagship food to a whole new level. The D.C. native is dreaming up a fast-casual concept where sausages are center stage. His plan for Half Smoke is to serve everything from beef, chicken and veggie sausages, to more seasonal varieties, such as venison, duck and elk, in an assembly-line format. Customers can order their sausages on a bun, in a bowl or on top of a flatbread or salad, and customize the toppings. Tater tots, funnel cakes, house-made shakes, craft beer and wine offerings will also be on the menu. McCain says unlike most people who enter the restaurant industry, he didn’t have prior experience in food service. To prepare himself, he took jobs at Sweetgreen, Pret A Manger and McDonalds to learn the business — all while working his full-time job. “It was challenging, but it was rewarding,” McCain says. Now, he’s ready to break into the market at full speed. “This was created for D.C.; it’s D.C.’s indigenous food, and I’m excited to bring it back home,” he says. Jenna Huntsberger is not a new name to D.C.’s food scene. The baker has been whipping up her cookies, quiches and pies for years, selling them at local farmers markets and retailers. More recently, she started creating a custom dessert line for Cava Grill. But demand is booming and Huntsberger is ready for her next move. She hopes winning Launch Pad will provide her an opportunity to test a retail concept for a future brick-and-mortar location. “It will give me an idea of what pastries people want to buy and how to really cut a pie by the slice and get it to a customer hot — all of those things I want to test out for when we do open a retail shop,” she says. Last year, Gabriela Febres and Ali Arellano brought Venezuelan cuisine to the streets of D.C. when they launched their food truck AREPA ZONE. Febres and Arellano are perhaps best known for their arepas, which are corn patties that are grilled, opened and stuffed with different fillings, such as shredded beef, shredded chicken, black beans and queso fresco. “There are a million things to choose from. And if you don’t find something you like, you can make your own, almost,” Febes says. When the business partners heard about Launch Pad, they were already beginning to think about their next business move. “One food truck doesn’t seem like enough to fill the demand,” Febes says. Having a permanent location in Union Market will allow them to serve their regulars and reach those outside their loyal customer base. Before starting their business, Febres says Venezuelan was scarce in D.C. In the last year, two additional Venezuelan food trucks have launched. “I think we opened up a path for our cuisine in the city,” Febres says. Editor’s Note: The Launch Pad competition is hosted by Mess Hall, in collaboration with Union Market and Ris Lacoste of RIS.